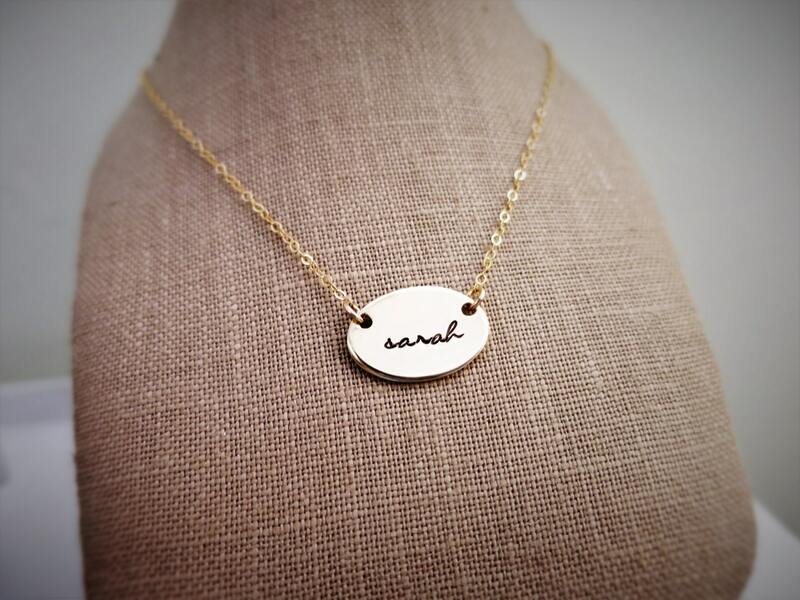 Choose from a 14k gold fill or sterling silver oval pendant, hand stamped with the name of your choice (up to 7 characters) in my new lowercase Elizabeth font, a lovely script handwriting font, that emanates classic sophistication. 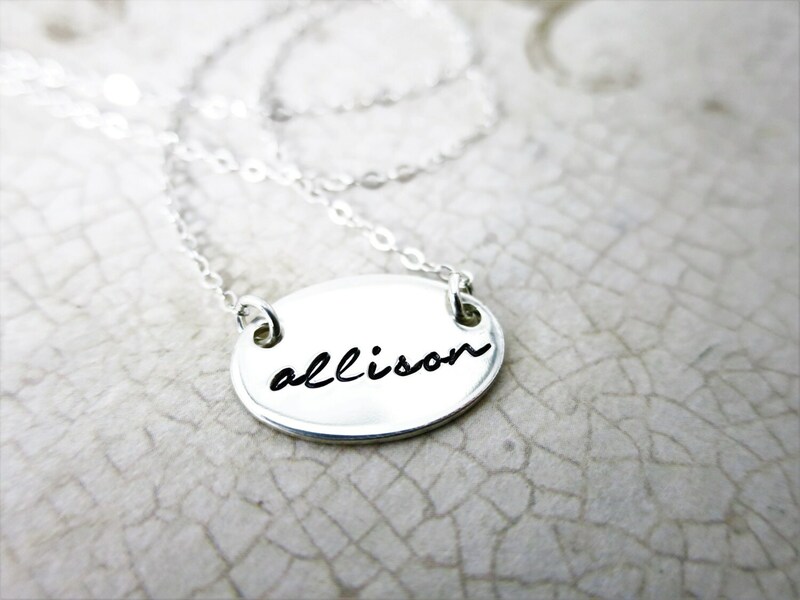 Once stamped the text on your pendant will be ink-darkened for contrast and depth, then polished to a shine. 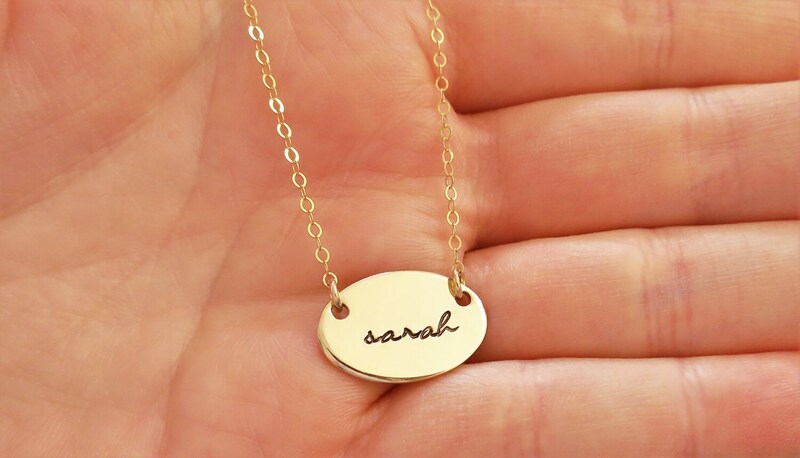 The pendant will be strung on a delicate sterling silver cable chain or 14k gold fill cable chain in your choice of length. 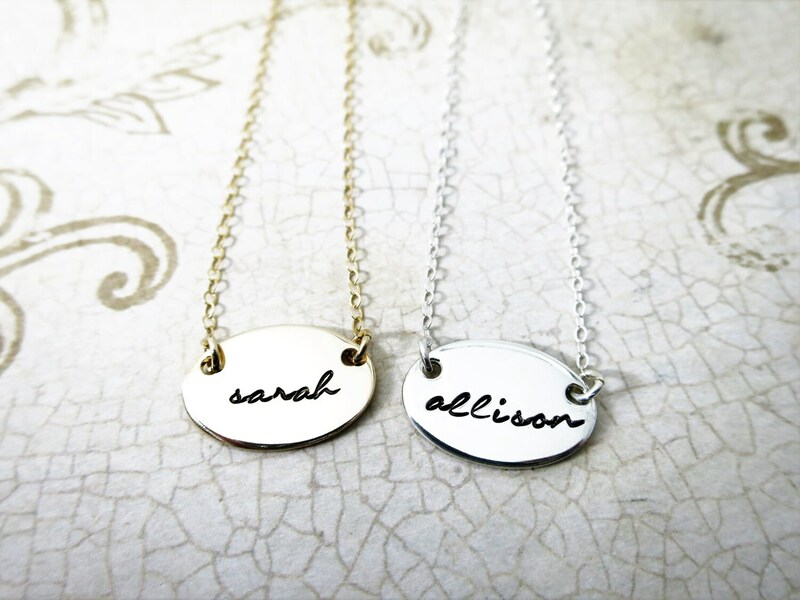 Please specify the name you would like hand stamped on your necklace in the 'note to seller' space at purchase. 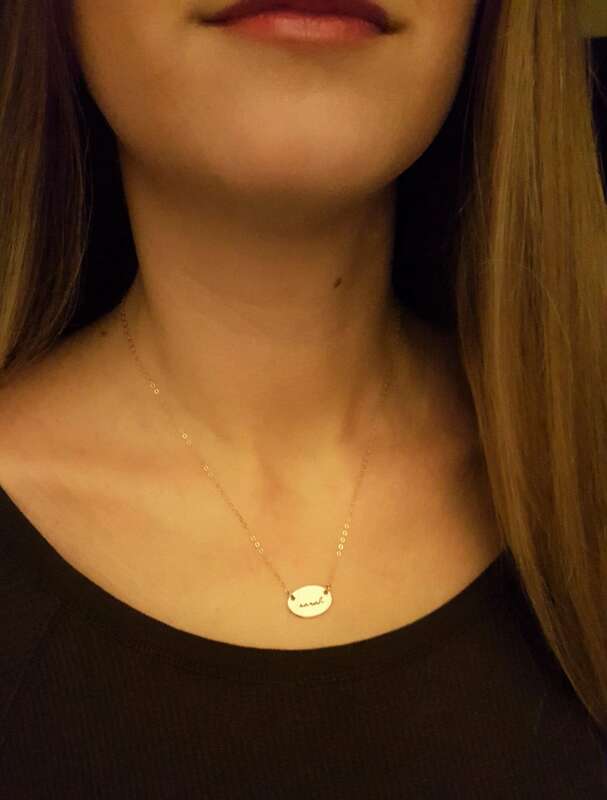 Note: Bust in the 3rd picture is a miniature size.